What does stacking merchant cash advances mean? Businesses that have multiple short term cash advances have what is known as stacked merchant cash advances, or are in the process of over stacking merchant cash advances. If your business has more than one merchant cash advance, you may have run into serious cash flow issues and need a solution. 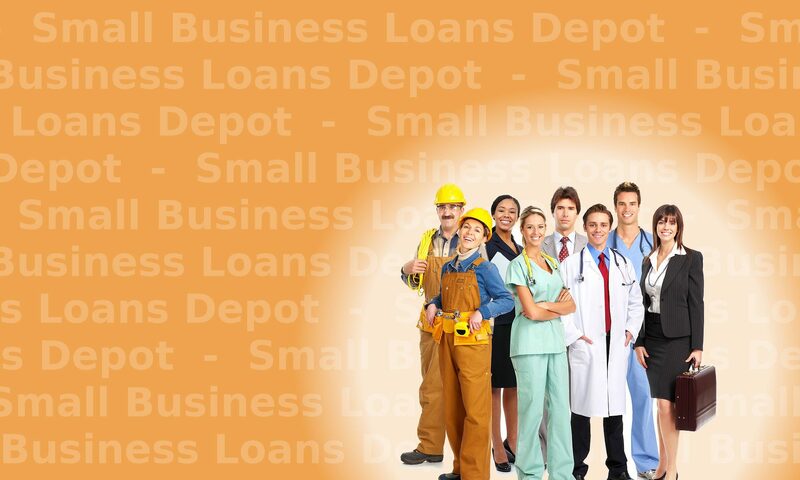 Need relief from several merchant cash advances? Fix your merchant cash advance disaster immediately below. Answer: Stacking is a term used in the mca merchant cash advance industry for when a business closes more than 1 merchant cash advance. In some cases, businesses need a 2nd position merchant cash advance or even a 3rd position mca merchant cash advance and have the cash flow to handle them. Question: I have several merchant cash advances. How to I get rid of them? How can I combine my merchant cash advances? I need a solution to my merchant cash advances. 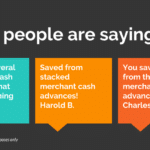 Need saving from merchant cash advances? Through a consolidation loan, the daily debit payment is lowered and term extended. How can your business be approved for a consolidation? Contact lenders that specialize in consolidating merchant cash advances. 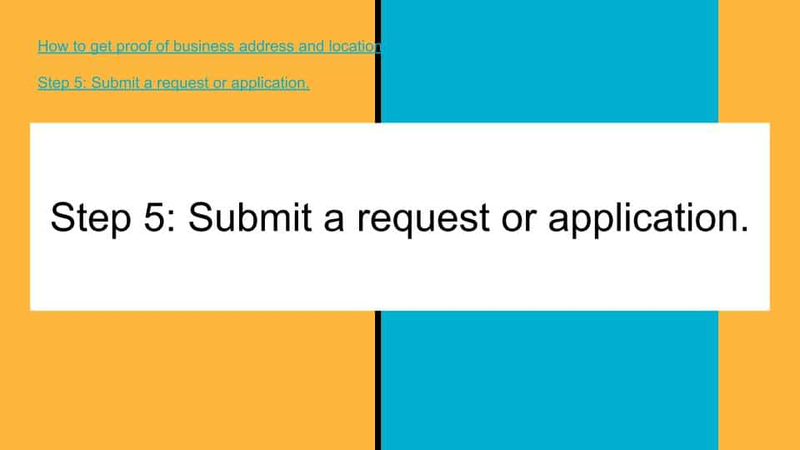 They should be able to give you criteria over the phone. If you and the lender agree you have a strong chance of qualifying, consider applying for the consolidation. A company obtains a first position Merchant Cash Advance, then a 2nd Merchant Cash Advance after the 1st one. 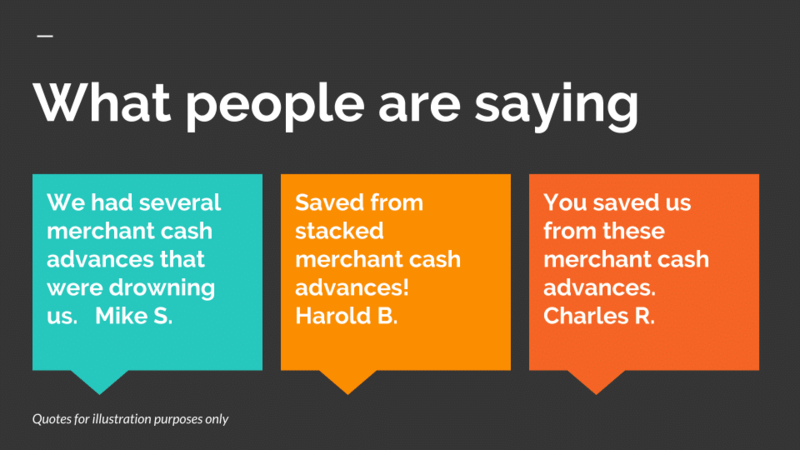 The second (2nd) Cash advance is stacked on top of the first (1st) merchant cash advance. Then they get a third (3rd) Merchant Cash Advance. The third (3rd) Merchant Cash Advance is stacked on top of the first (1st) and second (2nd) Merchant Cash advance. Below is an example of how consolidating stacked merchant cash advances works. The required multiple daily payments that are now being debited from your business checking account take away from critical marketing, inventory, and even being able to meet payroll. How can your business solve cash flow problems from stacking merchant cash advances? Acme, Inc. has 2 merchant cash advances. Cash Advance # 1 current balance $10,000 @ $100 per day. This merchant has 100 days left paying on these 2 advances. They are paying $1,000 per week and about $4,000 per month. On a typical consolidation, they will lower their payment by about 50%, thereby lowering their daily payment from $200 to $100. This lowers their monthly repayment from $4,000 to $2,000 and saves them $2,000 per month. Sometimes the savings is even more. How do you negotiate with cash advance companies to lower the daily payments? Each cash advance company may have a different policy on negotiating to lower your daily payment. The Lender will consider your specific situation, and how the request is handled by the borrower. Review the basic terms of each current advance. The cash advance company may have stipulations in the contract. The stipulations may say the borrower cannot obtain another cash advance until the contract is paid off. If so, you may have already violated the terms of the contract. The lender may have the option of declaring a default. They may require or demand full payment of the remaining balance immediately. Review the contract carefully before contacting the cash advance company. If your business is only going through a short term slow period in business, it may be better to ask for a pause in the payments for a week or two. Funders are less restrictive on pausing payments than they are on lowering the daily payments. – Asset based loan. This can be based on Real Estate, Equipment, or both. You can use the proceeds from one of these other loans to payoff the short term merchant cash advances. You may be able to extend the term to several years, which can dramatically lower your monthly payments. Using these strategies and tips are the best ways to lower your daily merchant cash advance payments. The SBA has tips, suggestions and hints at finding solutions to cash flow problems as well as how to create business plans and other business statements that may be requested for any type of financing transaction.